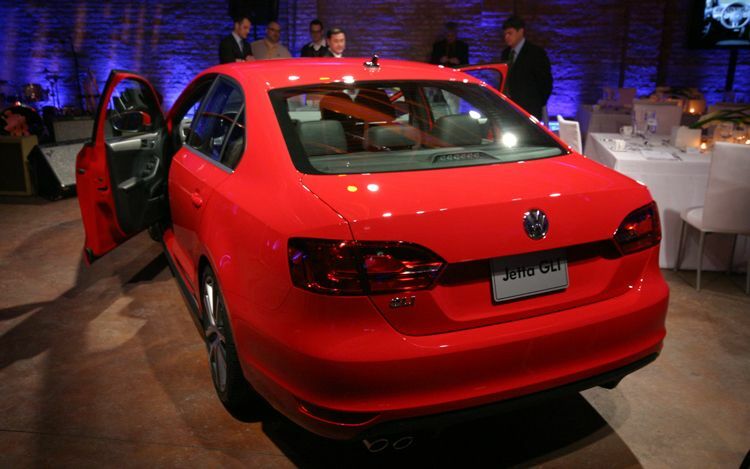 For the past couple decades, when Volkswagen releases a new Jetta sedan, it means a performance-themed GLI version won't be too far behind. 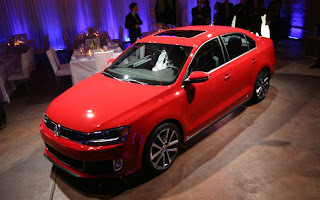 But with the sixth-generation Jetta getting bigger and softer for the U.S., inquiring minds want to know if the 2012 Volkswagen Jetta GLI, which is debuting at the 2011 Chicago auto show, will get softer as well. 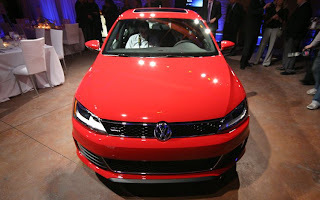 There's certainly nothing soft about the Jetta GLI's motivation, courtesy of VW's stellar turbocharged 2.0-liter inline-four that pumps out 200 horsepower and 207 pound-feet of torque, and can be mated to a six-speed manual or VW's quick-shifting, six-speed DSG that features steering wheel mounted paddle shifters and rev-matched downshifts. 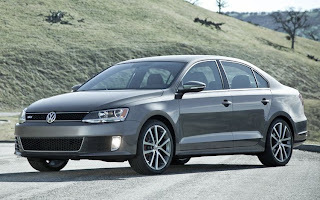 While there are no official EPA ratings yet, Volkswagen expects the GLI's highway mileage to be 31 mpg for the manual and 32 mpg on the automatic. 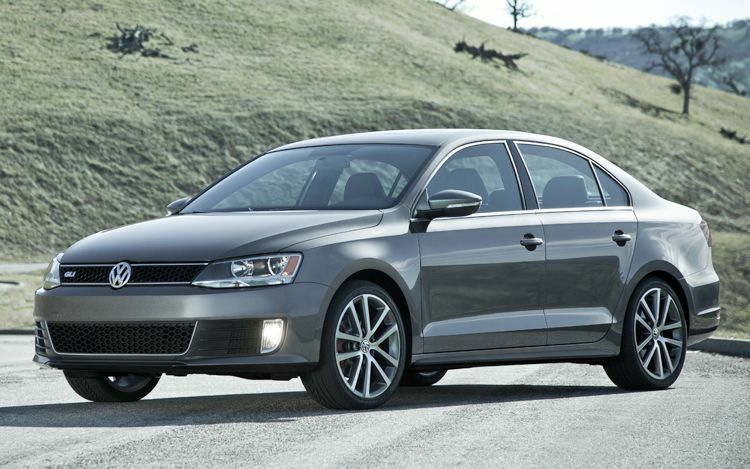 For reference, a 2011 GTI hatch weighs some 29 pounds less than the 2011 Jetta SEL with the 2.5-liter inline-five and is rated at 24/33 mpg city/highway; chances are VW's estimates for the GLI will be spot on. 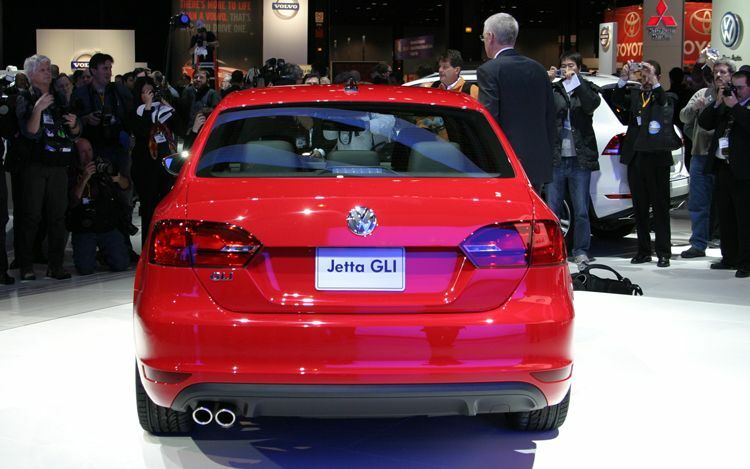 Separating the GLI from lesser Jettas is not left to the turbocharged engine alone. 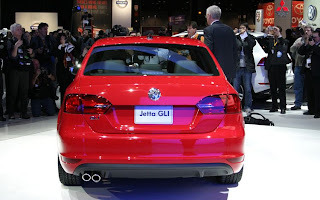 Carried over from the European-spec Jetta, the GLI receives four-way independent rear suspension instead of the twist beam suspension setup found elsewhere in the Jetta's U.S. lineup. We suspect the Euro-tuned suspension will up the fun-to-drive quotient in VW's more potent compact sedan. 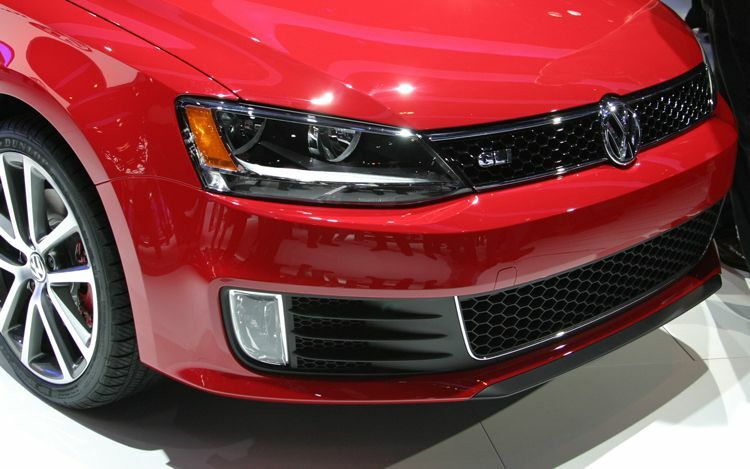 VW's XDS cross differential system also makes an appearance on the GLI. 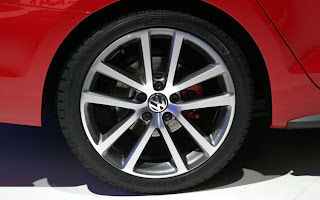 The technology helps prevent inside wheel spin during cornering, just as it does on the GTI. Distinguishing the GLI from the rest of the lineup are 17- or 18-inch wheels, smoked taillight lenses, a revised front bumper with larger air intake, and a honeycomb grille outlined in bright trim. 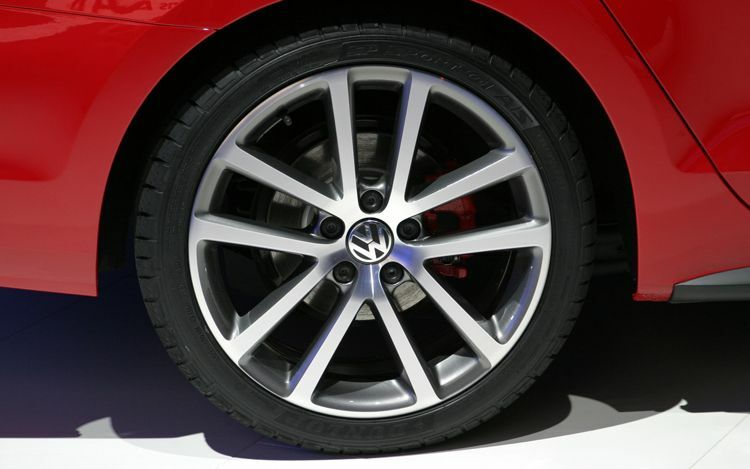 Four-wheel disc brakes with floating red calipers are also part of the package. 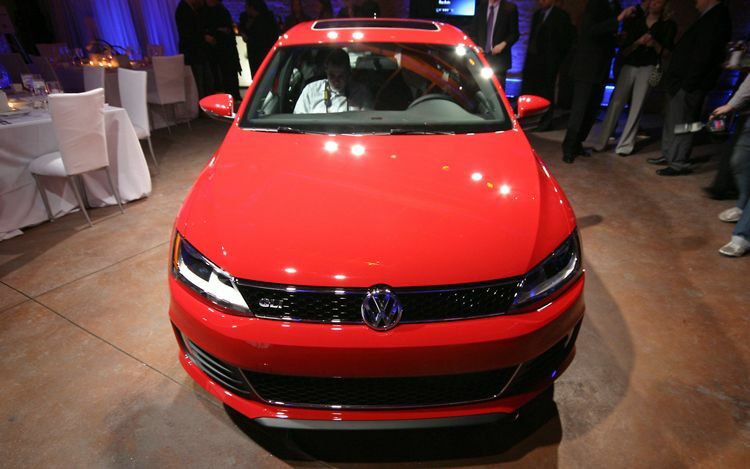 Inside, the GLI has everything you'd expect from a hotter version of the Jetta: sport bucket seats and a flat-bottom steering wheel, both with red stitching. 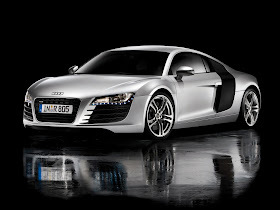 A 6.5-inch touchscreen display is standard, as is Bluetooth, iPod connectivity, and auto up/down power on all four side windows. The price tag for the 2012 Jetta GLI starts at $24,265 (including destination) and bumping up to the $26,315 GLI Autobahn nets heated leather seats, 18-inch wheels, and a Fender sound system. 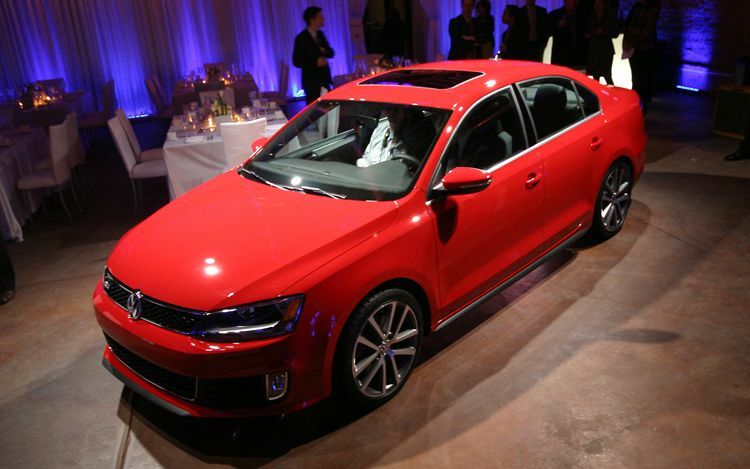 Navigation and keyless, push-button start can be added onto the Autobahn package, bringing the MSRP to $27,215. Of course, we'll have to drive it to see if it's become mushy, but with the 2.0-liter turbo and independent rear suspension, we're confident it will represent the spirit of the GLI name.